PRIZM Software Review - Please Avoid the Scam! PRIZM Software Review – Please Avoid the Scam! PRIZM software found at prizmtech.co website claims to be a legitimate binary trading software, but don’t be fooled. PRIZM Tech is a scam, and we have had a few readers who lost huge sums to the software. In this PRIZM software review, we explore the hidden truths behind the software, how it makes money off you, and how you can make real money from the internet. If you are still considering to fund your trading account for PRIZM, stop right there. Don’t commit yourself into a financial headache. And if you have already signed up and deposited money into it, make sure you pause the auto-trading feature right away to prevent your account from bleeding out. As reported by 5 of our readers over the last 2 days, their accounts were depleted in a matter of hours upon activating the software. Even though Richard Squire, the alleged creator of PRIZM claims that his software is a guaranteed profit software, you can’t just take his words for it. This is but a lie to lure you into his trap. Don’t buy into his sales pitches, and most of all don’t buy into the testimonials displayed on his website. These “members” are just actors and actresses hired to promote the scam. 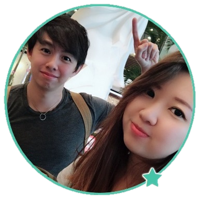 Thanks to our experience in reviewing more than 100 binary trading softwares, we’ve seen over and over again where spokespersons are hired to give fake testimonials. Check out Binary Trust Method and Fintech Limited reviews if you want to see some examples. PRIZM is using the same scam tactic to make itself appear legitimate to unsuspecting internet users. What exactly is this API key? PRIZM software is using the mysterious API key to deceive their victims. Richard claims that other softwares don’t work because they don’t have the API key, which effectively reduces their trades to pure guesswork. If you have any experience with software authentication and pairing before, you will know that Richard makes no sense at all. API key has nothing to do with trading. API key is known as application programming interface key, and its main function is to act as a secret token to link up softwares. Check out Wikipedia for a more detailed explanation. Once again, it has absolutely nothing to do with binary options trading. PRIZM scam chose to use a mysterious-sounding word to make you think that this software is different from the other scams out there. In fact, it’s no different from other junk softwares out there, as evidenced by our readers’ trading losses. We have to say, the scammers behind binary options trading softwares are a creative bunch. In every new iterations, they come up with new ideas to confuse uninformed victims. For example, one of the scams we reviewed before, GPS Trader software claimed that their technology uses GPS navigation system to find profitable trades. Can you imagine using your car GPS system to trade and make money? Unfortunately, there were still a lot of people who fell for the scam. 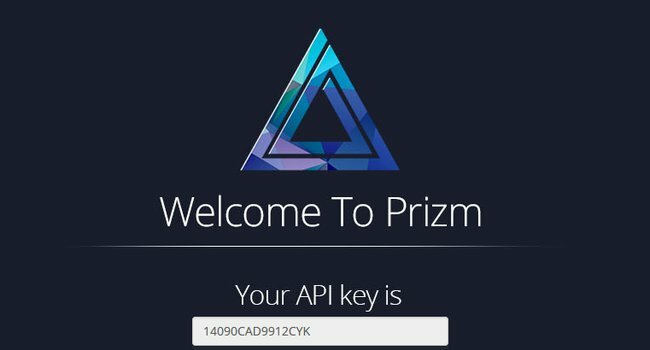 Likewise for PRIZM scam, where most people could have easily avoided the trap simply by looking up what API key really does. As much as Richard Squire and PRIZM scam want to keep you in the dark, they have to reveal the true nature of the scam somewhere within the website to protect themselves from lawsuits. They chose to hide the truth deep within the risk disclaimer document. You won’t find the document anywhere in the sales materials, because it is supposed to be hidden from you. The only place you can find the document is through a very small fine print at the bottom of their sales page that reads “risk disclaimer”. Even if you manage to find it, you need to read through the wall of text to find out the truth. Check out the original disclaimer at this link prizmtech.co/riskdisclaimer if you want to make sure our screenshot is authentic. PRIZM allows its users to trade in highly speculative investments which involve a significant risk of loss. Due to the high risk nature of trading, ‘PRIZM’ explicitly does not make any express or implied warranties or guarantees that user will make any profit or that user will not lose any or all deposited investment funds. Using PRIZM is far from guaranteed. in fact, it engages in extremely risky, speculative investments. Self explanatory – Contrary to what they promise in the sales materials, PRIZM scam does not guarantee you any profit. Not only that, you will most likely end up losing ALL of your deposited investment funds. Again, PRIZM scam admits that trading binary options is extremely risky, and it is only for investors who can stomach the loss of their entire investments. Evidently, the guarantees given in the sales material and their so-called “members” are fake and cannot be trusted. If you lose all your investments and decide to sue the scammers behind PRIZM Tech, this risk disclaimer will protect the scammers from lawsuits. Not only that, money lost through the software are considered trading losses, and there is no way you can ask for a refund. Is There a Way to Make Real Money Online? PRIZM TECH IS A SCAM. We strongly advise you to stay away from the scam if you don’t want to lose your hard-earned money. You’ll need to deposit $250 to use the software for trading purpose, and your money will be lost in quick successions. This is how they make money off you. You are better off spending that $250 deposit for a nice dinner with your family than wasting it on a scam like this. Insured Trading Review – Avoid the SCAM! I’ve just stopped my auto-trader. My balance is down to $157 from the original $250, how can I withdraw the remaining fund? Assuming you did not accept any trading bonus, you can write to the broker’s customer support to request for withdrawal. You’ll most likely receive a call from them, just be firm about your withdrawal and don’t be convinced otherwise.